Look at the slick veneer Ben’s putting on here. Classic Bruce Wayne. Say what you will about the Batman costume, but they nailed down Bruce Wayne’s look perfectly. Another leaked image of Ben as Bruce Wayne. Guess the secret was too good for the studios to keep under their cape. The leaked tuxedo pics strongly indicate that Dawn Of Justice will feature one of Gotham City’s frequent high society galas—a fan-favorite staple of the Batman franchise. Is a Joker appearance too much to hope for? Sure, he looks like a rich idiot in this shot, but that’s exactly what Batman wants you to think. This shot of a youthful Bruce Wayne has some fans theorizing the new film might include a CGI-enhanced flashback scene. 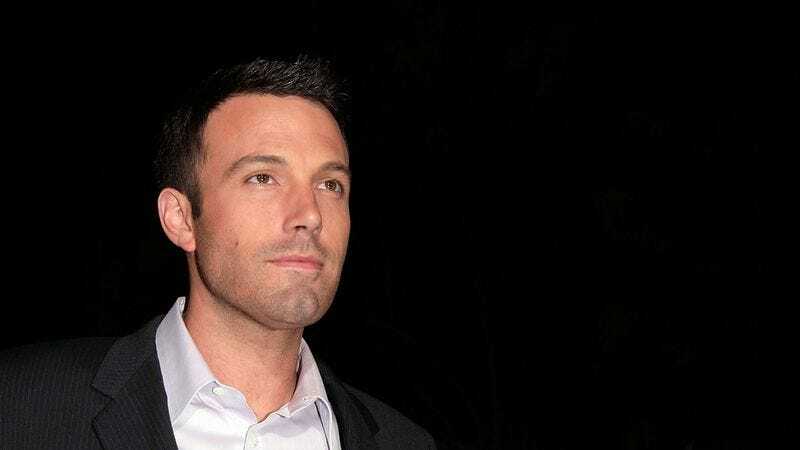 You’ll have to use Google to find them all, but even a quick search for “Ben Affleck” turned up hundreds, if not thousands, of images of Affleck dressed EXACTLY like a muscular, dapper millionaire. We are officially geeking out.